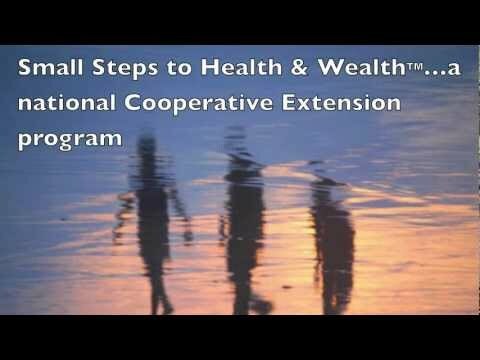 Rutgers New Jersey Agricultural Experiment Station (NJAES) Cooperative Extension's major health finance initiative is Small Steps to Health and Wealth. This program is designed to motivate consumers to implement behavior change strategies that simultaneously improve their health and personal finances. O'Neill, B., Xiao, J.J., & Ensle, K.M. Propensity to Plan: A Key to Health and Wealth? Journal of Financial Planning, (2016), 29(3), 42-51. URL: https://www.onefpa.org/journal/Pages/MAR16-Propensity-to-Plan-A-Key-to-Health-and-Wealth.aspx. O'Neill, B. The greatest Wealth is Health: Relationships Between Health and Financial Behaviors. Journal of Personal Finance, (2015), 14(1). O’Neill, B. 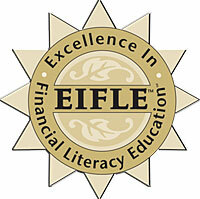 & Ensle, K. Small Steps to Health and Wealth™: Program Update and Research Insights. The Forum for Family and Consumer Issues (2014), (19(1). [WWW Document] URL: http://ncsu.edu/ffci/publications/2014/v19-n1-2014-spring/oneil-ensle.php. O'Neill, B. & Ensle, K. Have it Their Way: Creating Personalized Online Challenges to Motivate Learners. Journal of Extension (April 2012), 50(2), 6 pages [WWW Document] URL: www.joe.org/joe/2012april/tt3.php. O'Neill, B. & Ensle, K. The Online Small Steps to Health and Wealth™ Challenge: A Model for Interdisciplinary FCS Programs. Journal of Family and Consumer Sciences (2010), 102(4), 52-55. O'Neill, B. Health and Wealth Connections: Evidence from Research and Practice. Journal of Family and Consumer Sciences (2009), 101(3), 14-19. O'Neill, B. & Ensle, K. Small Steps to Health and Wealth™: Available Resources and Potential Economic Impacts. The Forum for Family and Consumer Issues (Summer/Fall 2008), 13(2), 5 pages [ WWW document] URL: ncsu.edu/ffci/publications/2008/v13-n2-2008-summer-fall/oneill.php. O'Neill, B. Health and Wealth Connections: Implications for Financial Planners. Journal of Personal Finance (2005), 4(2), 27-39. O'Neill, B. Small Steps to Health and Wealth. The Forum for Family and Consumer Issues, (December 2004), 9(3), 8 pages. [WWW document] URL: www.ces.ncsu.edu/depts/fcs/pub/9_3/smallsteps.html. Ensle, K. & O'Neill, B. An On-Line Challenge in Health, Nutrition, and Finance Behaviors. Journal of Nutrition Education and Behavior, Society for Nutrition Education, 2011, 43(4S1), S-42. O'Neill, B. & Ensle, K. The Small Steps to Heath and Wealth ™ Challenge: An Online Tool to Motivate Consumers to Make Positive Behavior Changes. Eastern Family Economics/ Resource Management Association, (2010), 1 page. [WWW document] URL: mrupured.myweb.uga.edu/proceedings2010.shtml. Block, L., Kranch, R., O'Neill, B., & Ensle, K. Health and Wealth- A No-Risk Investment: Online Behavior Change Strategies to Improve Health and Wealth. Association for Financial Counseling and Planning Education, (2009), 64. O'Neill, B. 25 Steps to Health and Wealth: The Small Steps to Health and Wealth Workbook. Association for Financial Counseling and Planning Education, (2006), 110. O'Neill, B. Changing Behavior One Step at a Time: The Small Steps to Health and Wealth™ Workbook. Consumer Interests Annual, (American Council on Consumer Interests), (2006), 52, 417-418. O'Neill, B. Small Steps to Health and Wealth. Association for Financial Counseling and Planning Education, (2005), 85.